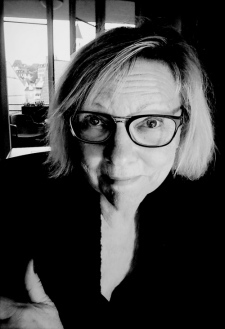 Patti Marxsen began her writing career over 30 years ago as an art critic/culture journalist for The Lexington Herald Leader (Kentucky) and The Camden Herald (Maine). Since then, she has been a consultant, The Write Woman, and managed communications and publications for several educational and cultural organizations in New England. Among these, her seven years at the Boston Research Center for the 21st Century [now the Ikeda Center for Peace, Learning, and Dialogue] led to the successful development of multi-author books on global ethics and education, including "Educating Citizens for Global Awareness," edited by Nel Noddings (2005), and "Ethical Visions of Education: Philosophies in Practice" edited by David T. Hansen (2007), both published by Teachers College Press. Alongside of what she refers to as her "institutional life," Patti Marxsen’s articles, essays, and reviews have appeared in over 50 publications in the USA and Europe, including the the Caribbean Writer, Prairie Schooner, Fourth Genre, The French Review, Women’s Review of Books, Absinthe, the Maine Antique Digest, the Boston Globe, the International Herald Tribune, Offshoots: Writing from Geneva, Saisons d'Alsace, Hello Switzerland, and the Journal of Haitian Studies. She has been nominated twice for a Pushcart Prize and achieved a Special Mention in the 2009 Pushcart Anthology with "Alone in Amsterdam" (Fourth Genre, Spring 2007). She has also won a Geneva Writers' Group Literary Award for Nonfiction twice: First Place in 2013 for "Gâteau de Payerne" judged by Dinty Moore and Second Place in 2017 for "This Wave in the Mind" judged by Nick Barlay. Marxsen is also one of the few Americans currently “at home” with the work of Swiss writer C. F. Ramuz (1878-1944). In 2008, she published “The Quest and the Question in C.F. Ramuz’s Si le soleil ne revenait pas…” in The French Review, the journal of the American Association of Teachers of French. More recently, she has authored in-depth reviews of Ramuz's "The Young Man from Savoy" (“Ramuz’s World,” Absinthe, 2009) and Michelle Bailat-Jones translation of "Beauty on Earth" (Asymptote, April 2016). Her own translation of Ramuz's epic prose poem "Chant de Notre Rhone" was published in 2015 as "Riversong of the Rhone" by Skomlin (formerly Onesuch Press) in a bilingual edition. Patti Marxsen's other books include a collection of literary travel essays, Island Journeys: Exploring the Legacy of France (Alondra Press, 2008); a collection of short fiction, Tales from the Heart of Haiti (Educa Vision, 2010); and her translation of Albert Schweitzer’s Lambarene: A Legacy of Humanity for Our World Today by Jo and Walter Munz (Penobscot Press, 2010). Her biography of Helene Schweitzer Bresslau (1879-1957), the little-known wife of Dr. Albert Schweitzer, appeared in the spring of 2015, published by Syracuse University Press. She is currently working on the first critical biography in English of one of the twentieth century's most important Haitian writers & public intellectuals, Jacques Roumain (1907-1944).